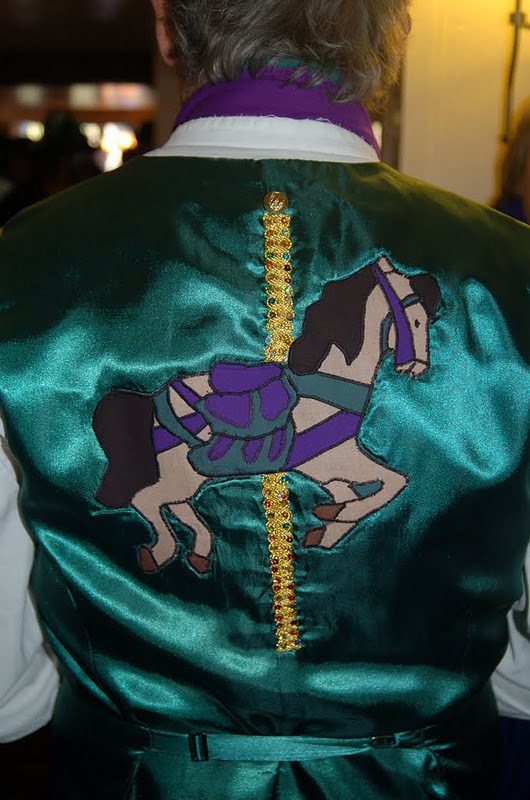 Possibly one of the best Wassails we've ever had. 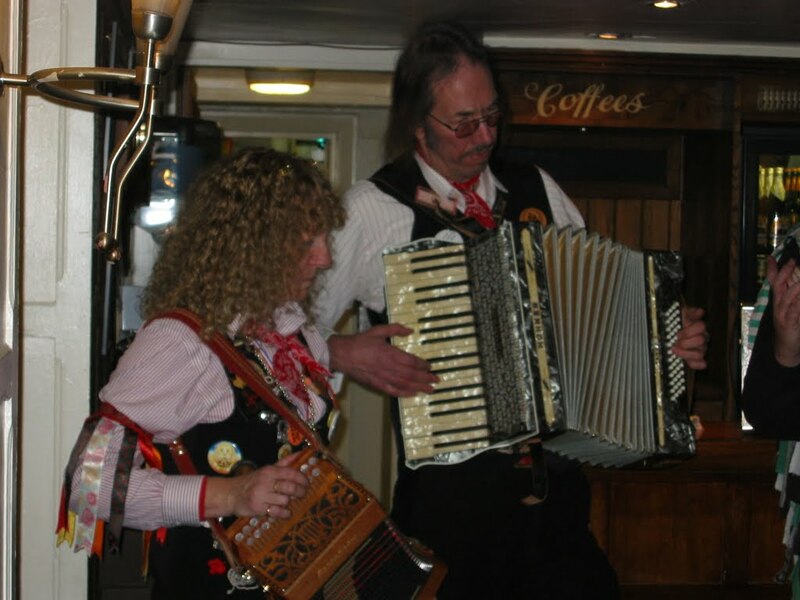 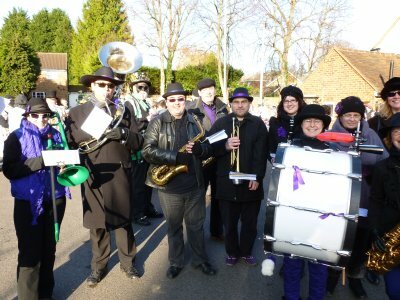 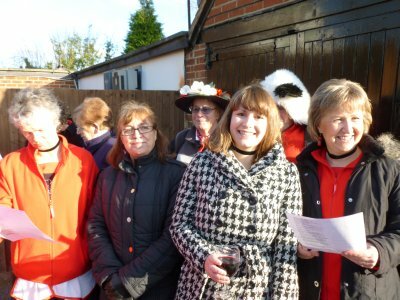 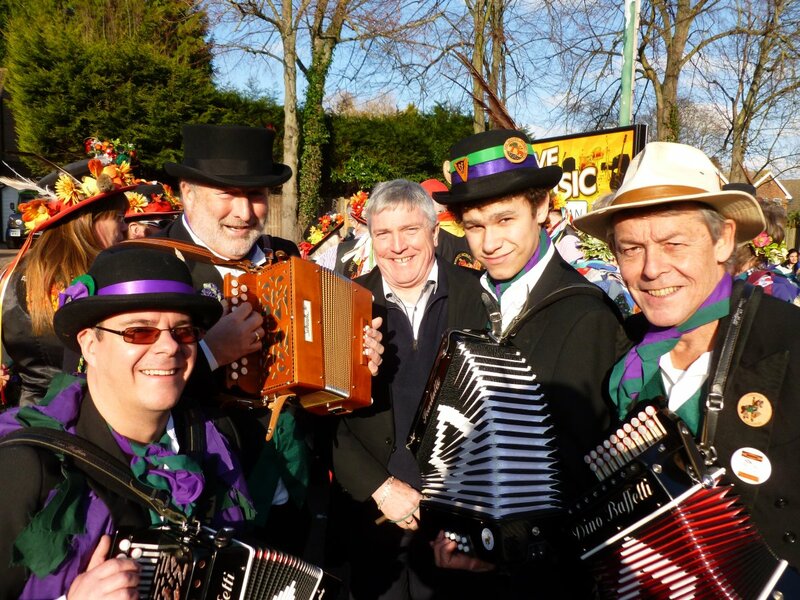 We were joined by Garston Gallopers, Mayflower Morris, Phoenix Morris, Ridgeway Step Clog, Wickham Morris, plus the superb Soundblast Sinfonia streetband, and a very appreciative audience who joined in with gusto. Just behind us it says "Live Music" although I doubt they had this in mind! I'm not quite sure how Mike got his head stuck inside that basket! 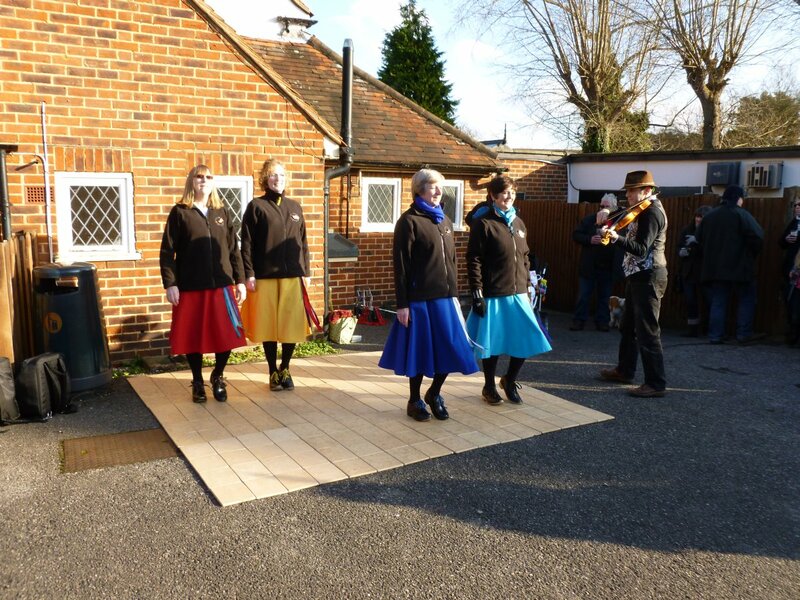 We were too busy to record which dances were being performed, but I'm sure they know! 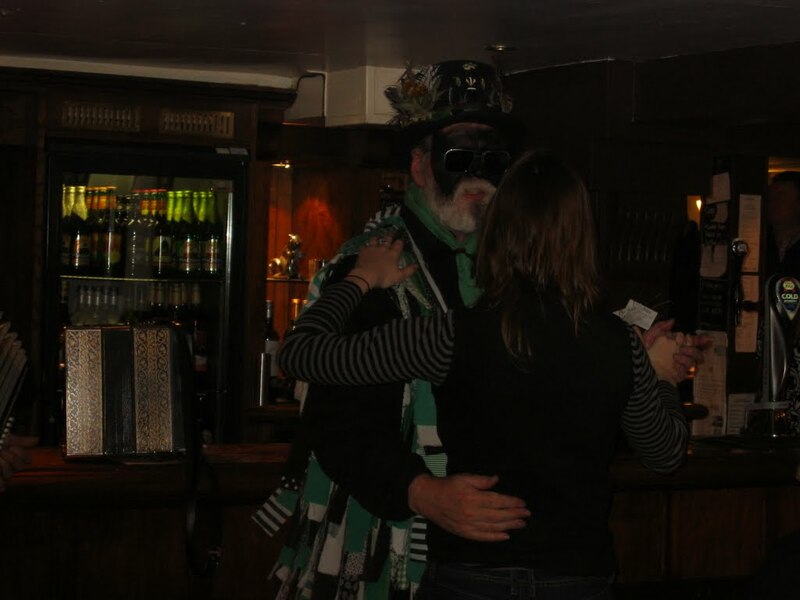 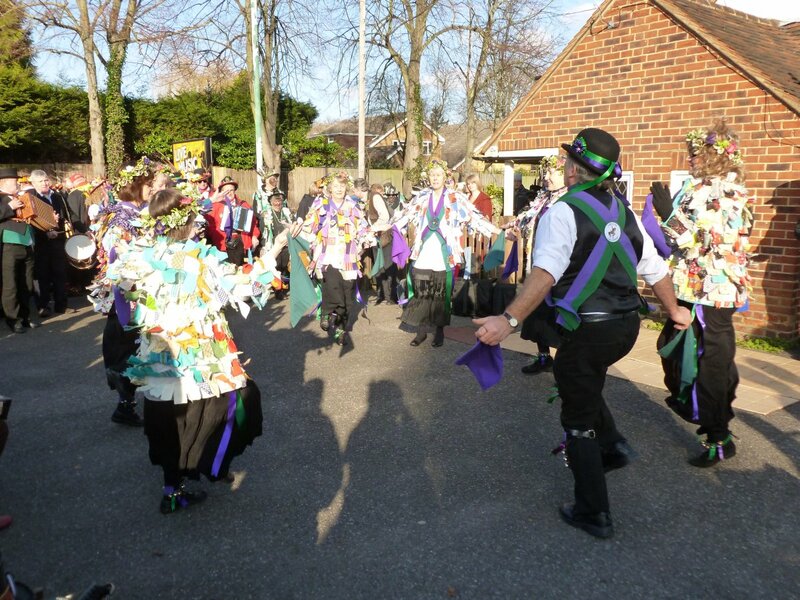 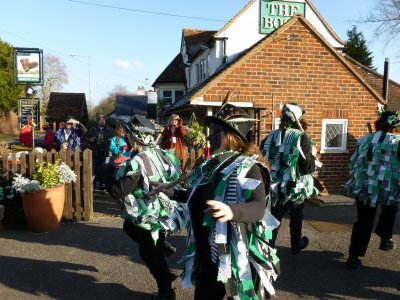 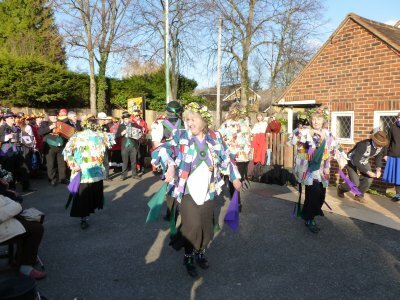 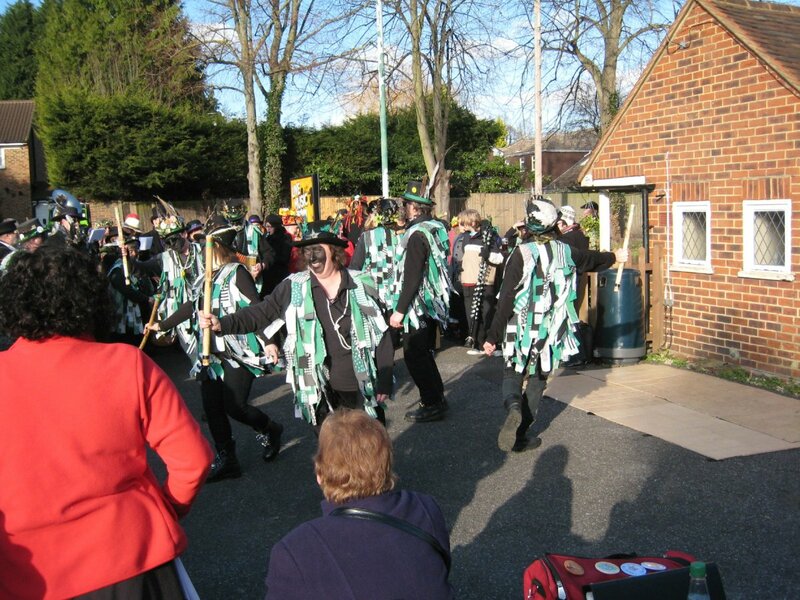 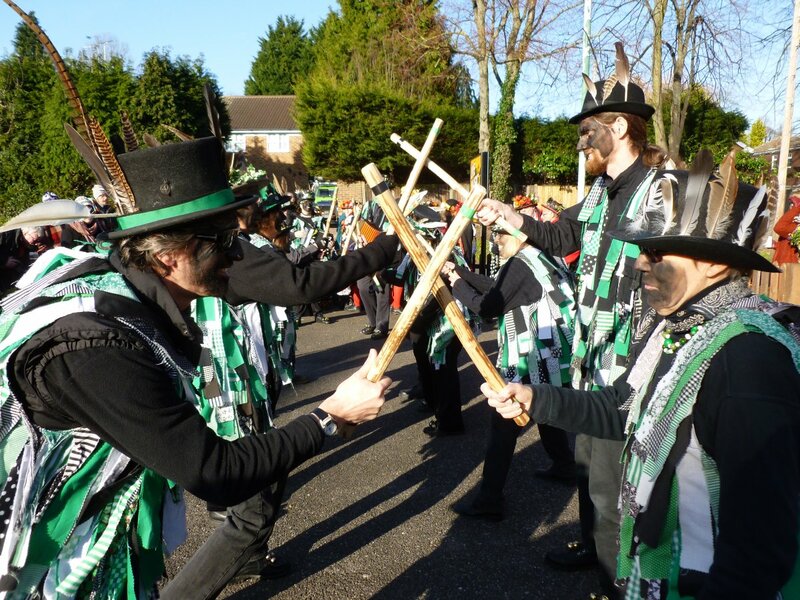 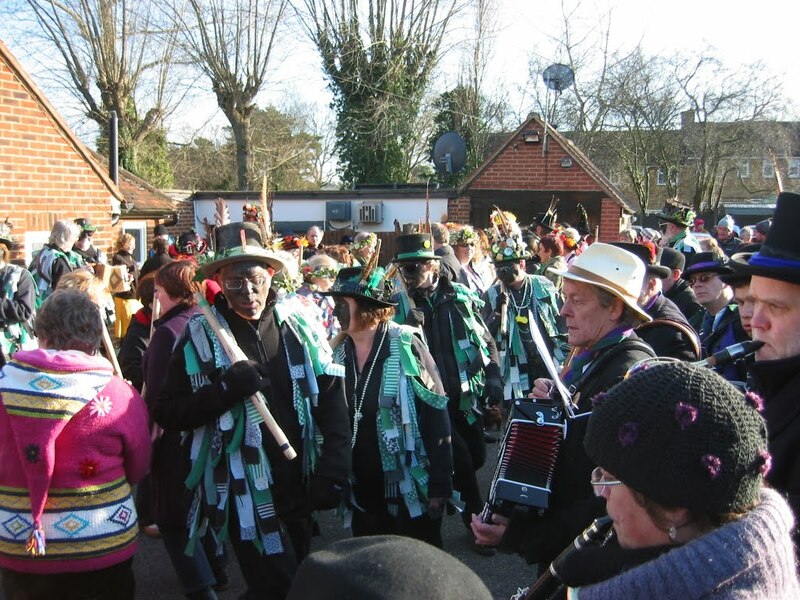 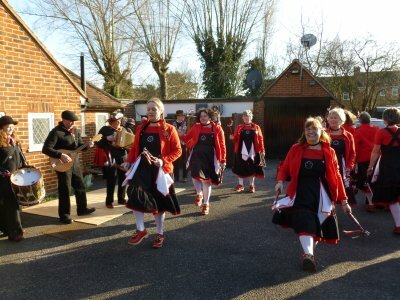 After we'd all had a couple of dances, we put together a massed East Acton. This included dancers and musicians from all the sides plus Soundblast Sinfonia and the braver members of the audience! These morality plays demonstrate that good will always succeed over evil. 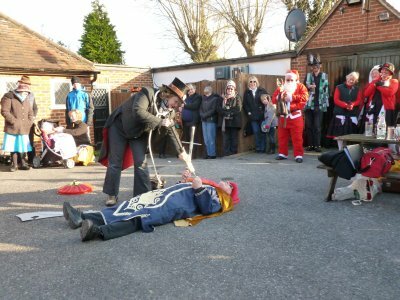 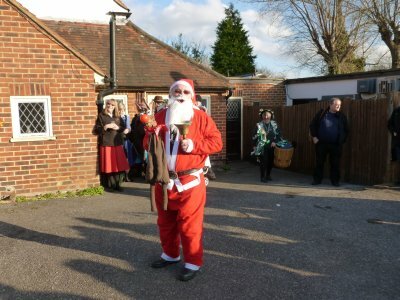 In comes I, Old Father Christmas! That looks suspiciously like a dustbin lid! 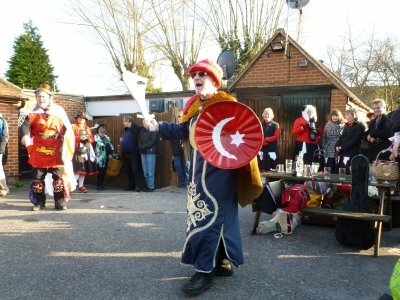 The battle never ends very well for the Turkish Knight. 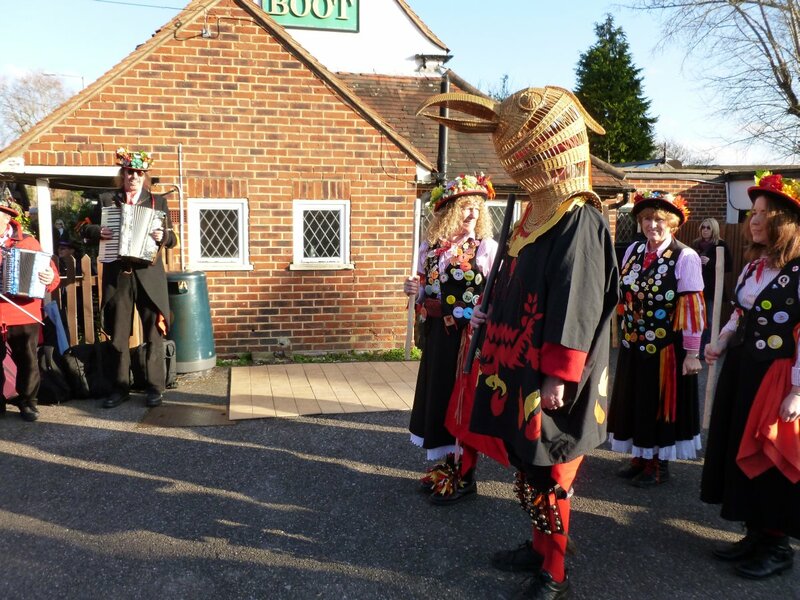 The fallen warrior is duly restored to health after receiving a pill and an injection that would knock over a bull elephant! 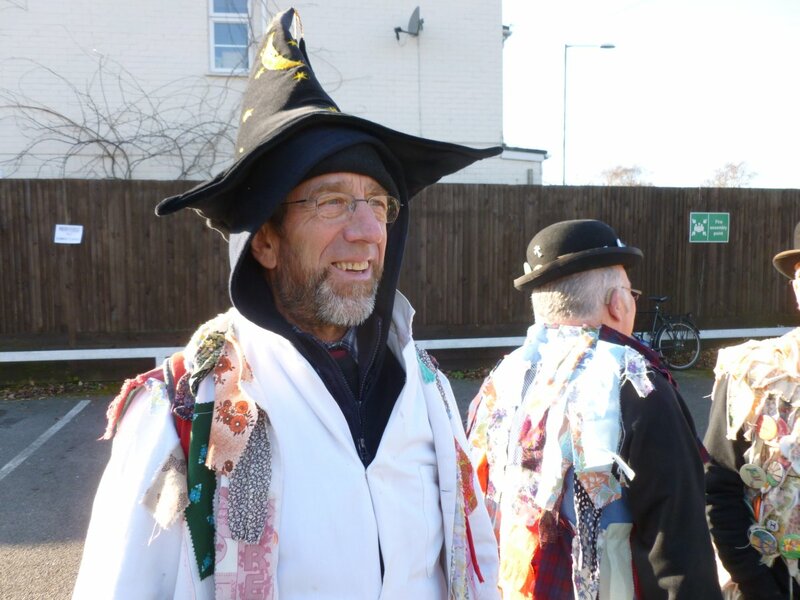 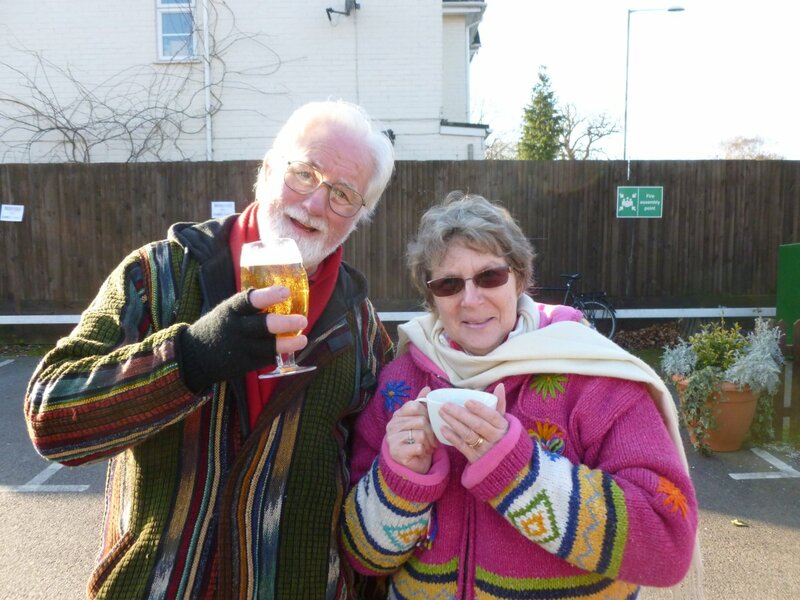 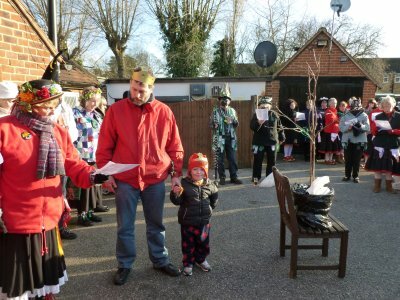 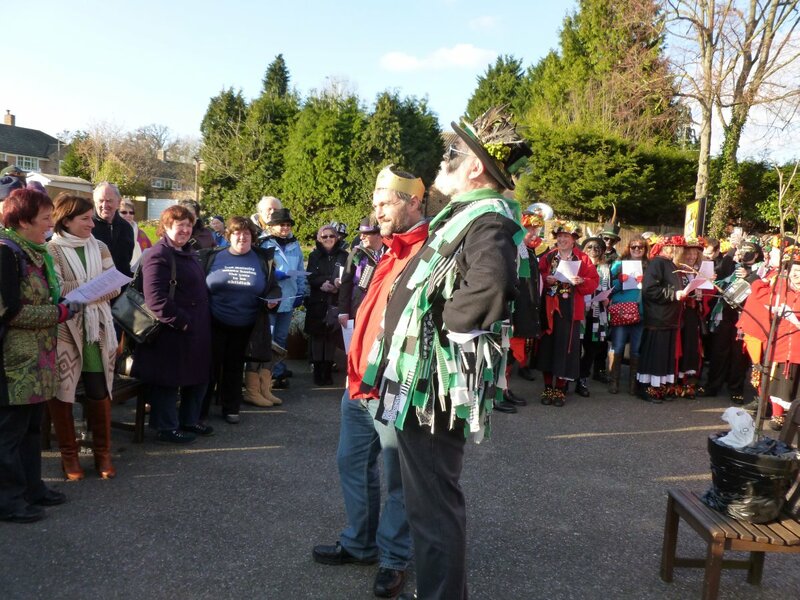 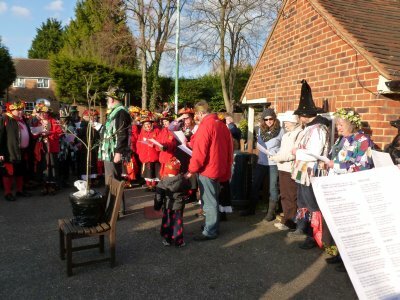 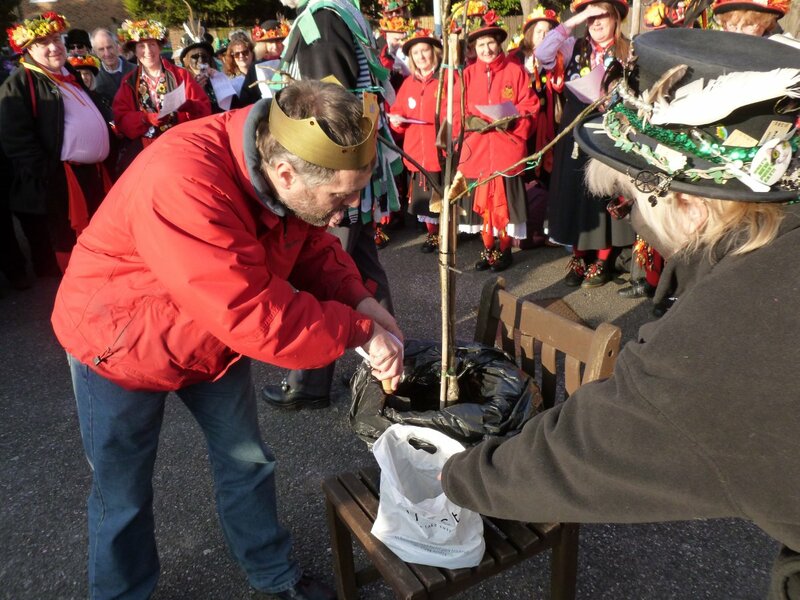 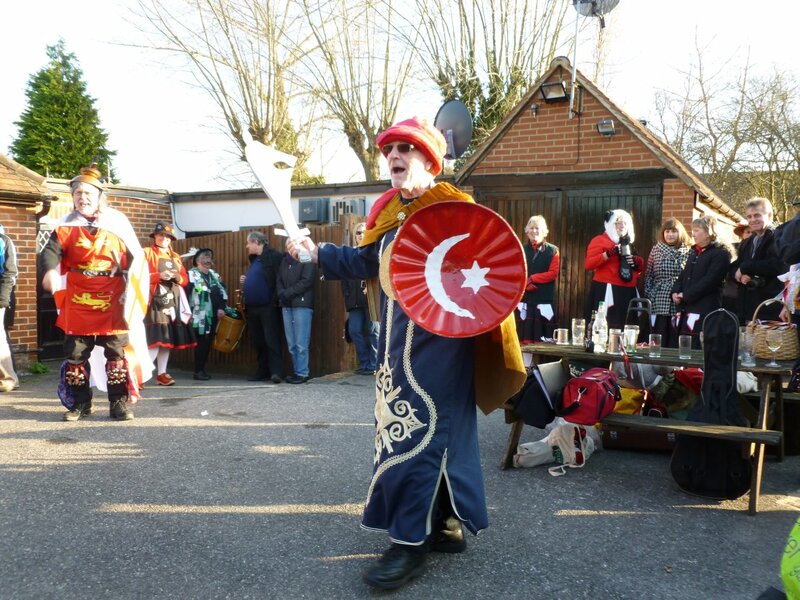 The wassail cake (baked by Pam) is distributed, and whoever gets the bit with the bean in it is appointed King Of The Bean and presides over the ceremony. 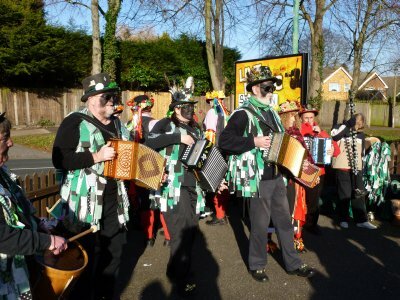 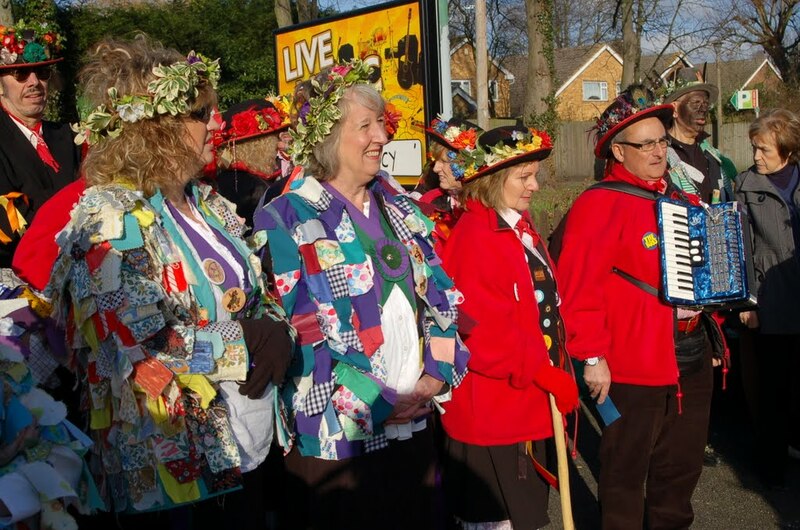 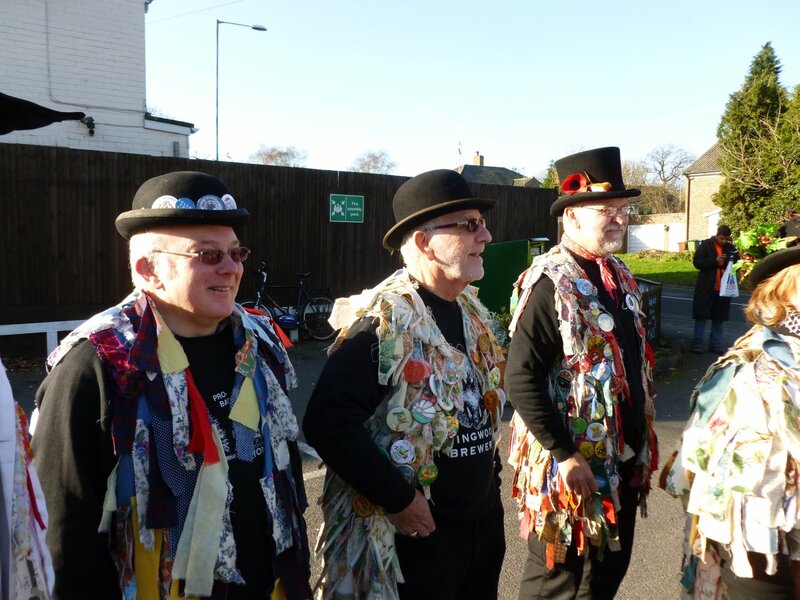 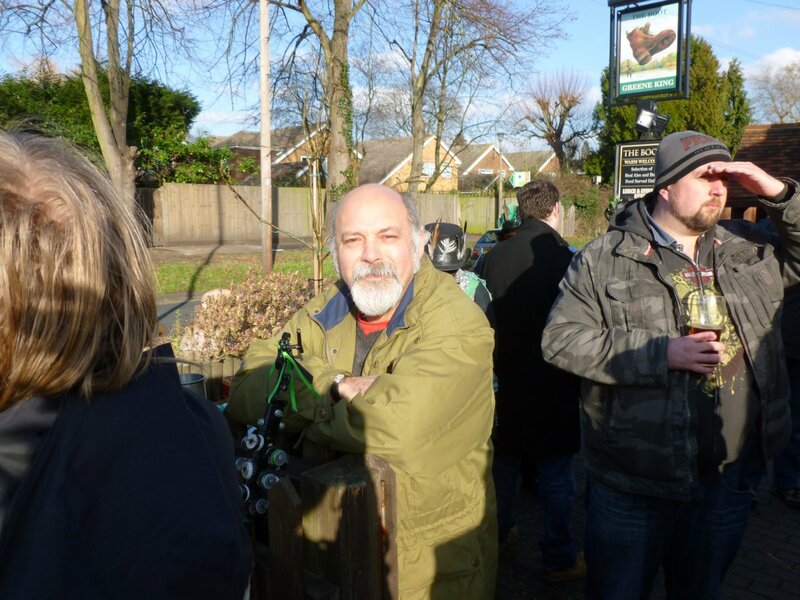 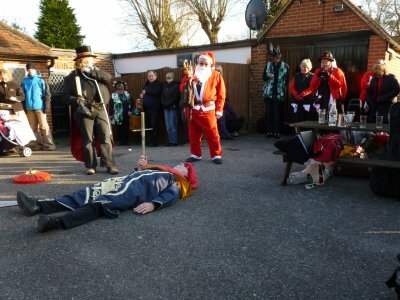 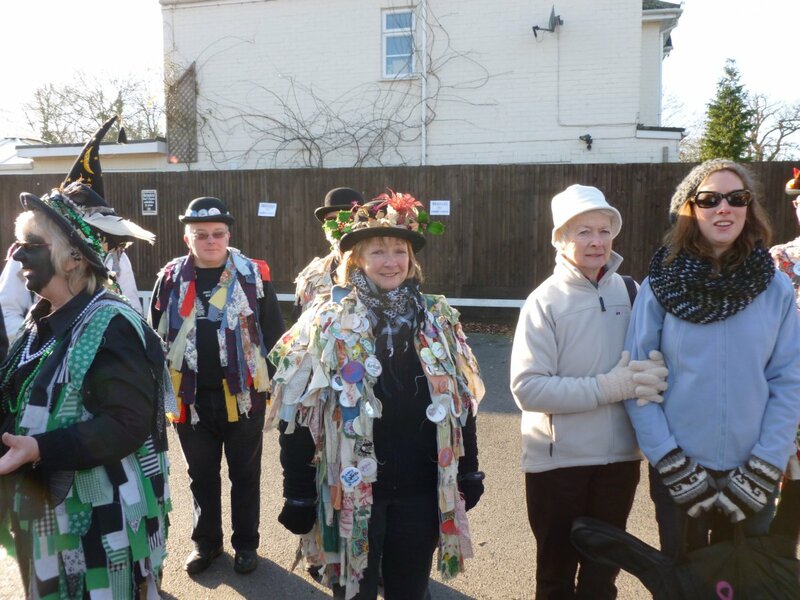 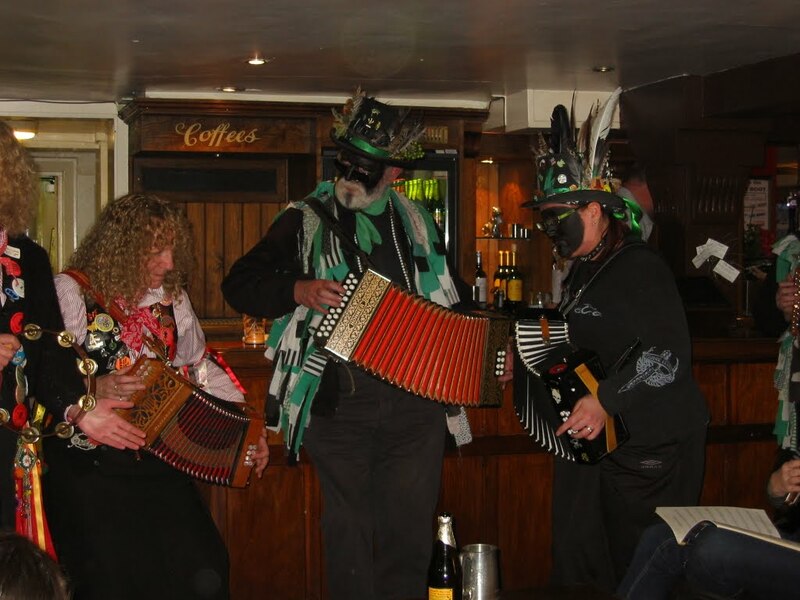 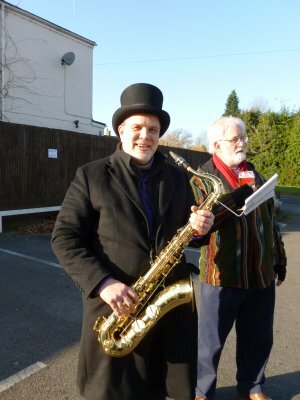 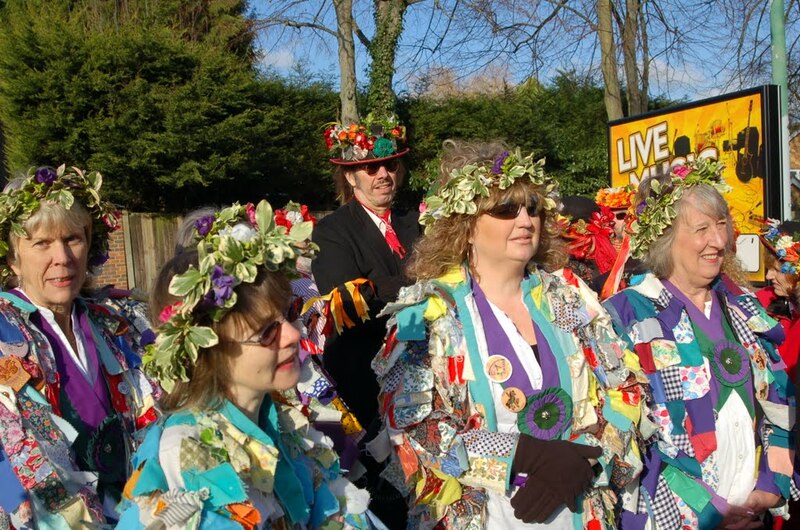 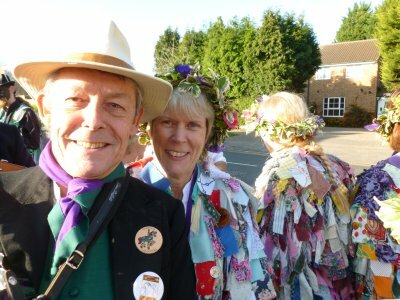 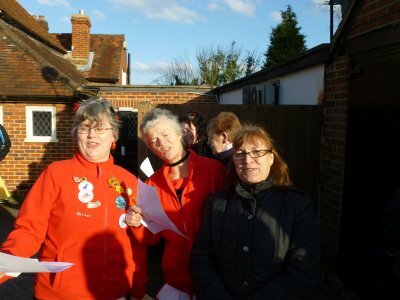 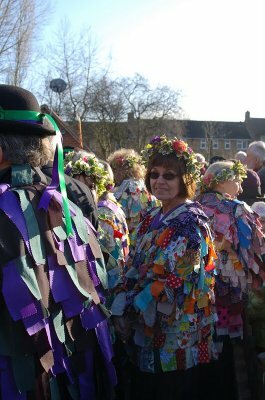 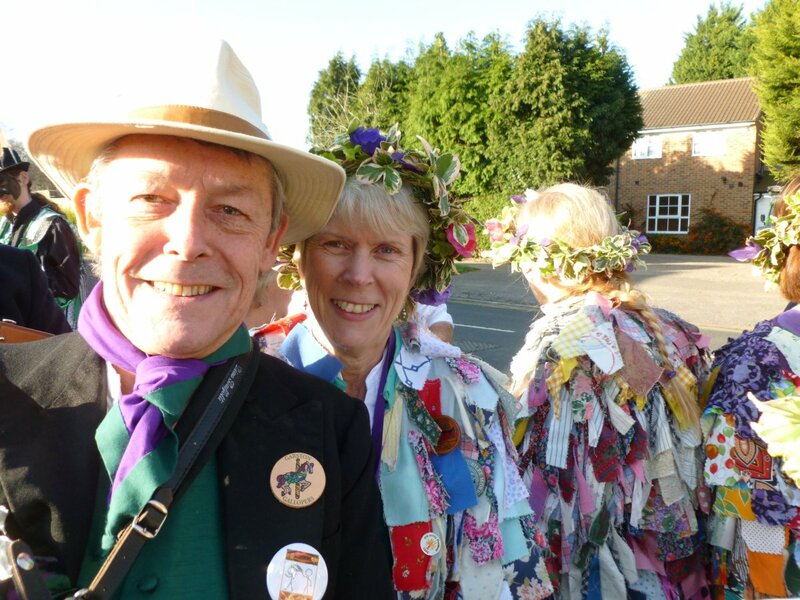 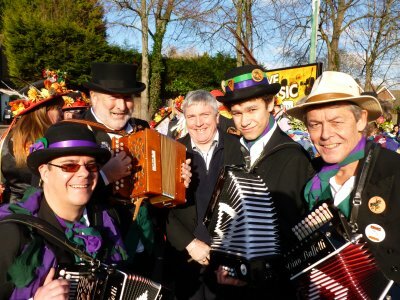 We sing the Gloucester Wassail song, accompanied once again by the band. Loud noises are made, guns fired (pretend ones!) 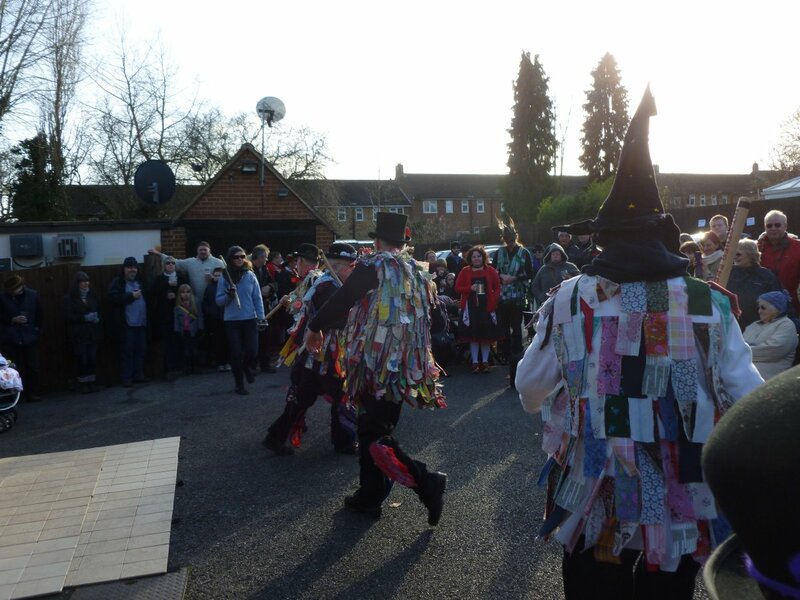 and the band joins in to drive away evil spirits so the orchard can thrive.